Hi @lovebarblove - Good question! 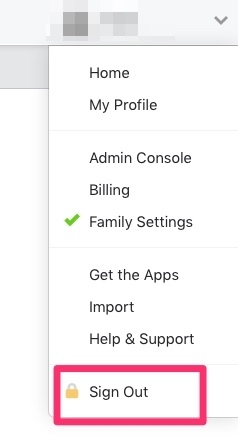 Click on your Account Name in the upper right hand side and you should see an option to "Sign Out" from the drop down menu. Let us know if this helped or if you have any additional questions. And if you were referring to the app (as opposed to the 1Password.com website), there is no need to log out. When you're done using 1Password you can lock it. To lock 1Password on your Mac, click in the top right corner. To lock 1Password on your Windows PC, click in the top right corner. Unlock 1Password again by entering your Master Password. Learn how to set 1Password to lock automatically.